After making the world dance to her tunes on Kaala Chashma (and slaying those moves), Katrina Kaif is back, albeit in a never before seen avatar. After a four year long wait, Jagga Jasoos is finally ready for release and needless to say, Kat has left us impressed with her cute and goofy expressions in the promos. She plays the clumsy beauty Shruti, who takes off on an adventure with Jagga aka Ranbir Kapoor, with whom she will be seen sharing screen space after a good seven years. Though her last film - Baar Baar Dekho, failed to create waves at the BO, the gorgeous actress has been in the news throughout the year. While some may choose to focus on how she has been promoting the film with Mr Kapoor, and others may highlight the mansplaining episode; we can't help but laud the fact that the stunner has bagged some prestigious projects that will roll out in the coming year. From a VFX packed movie with SRK to a period film with Amitabh Bachchan and Aamir Khan, Katrina is ready to rule and clearly, there is no stopping her. A gloomy weekend packed with back to back interviews and never ending promotional activities did not deter the actress from being her happy, chirpy best. 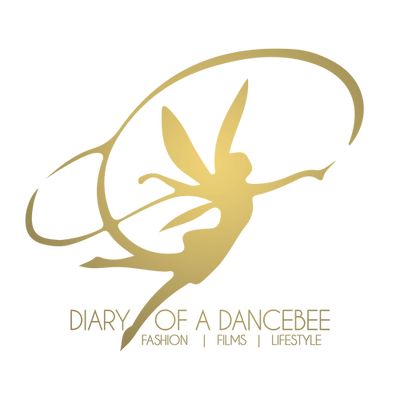 Here's Katrina Kaif in conversation with Team Dancebee on topics ranging from Jagga Jasoos, upcoming films to life and fourteen years in the industry. Tell us a little bit about Shruti, aka the Jughead. My character is that of an investigative journalist in the film. Of course, the film revolves around a boy – Jagga, who is in search of his father. It is a musical adventure. During his quest, Jagga meets Shruti and they join hands to get on to the journey with a unified purpose. Well, have you ever got the chance to investigate something? I am just about able to handle my own life (laughs). I rarely have time to investigate others. I wish I had more time or nature to do that, but in the 24 hours I have in the day, I take care of my own things. If someone is investigating about my life, it would be weird, but I don't think any one does that. 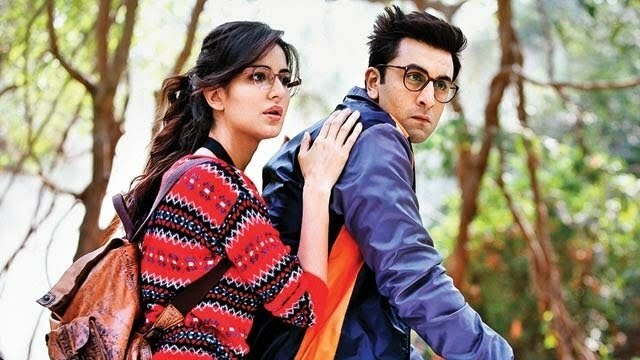 Jagga Jasoos revolves around a murder mystery. The protagonist is discovering something big and not poking his nose into other people's lives (smiles). How will you define Anurag Basu's style of direction? Every character is different. Dada (Basu) looks for realism and wants the audience to relate to his actors and not see them as entertainers. He wants the viewers to see them as people and connect from the heart. Dada wants to see imperfections in his characters. That's why, you will notice that he has given Jagga the habit of stammering, while Shruti is an accident prone person. As a co-star, what is your biggest takeaway after working on a film with Ranbir Kapoor? Ranbir is always searching something to give to his role. He is focussed all the time. That ability to cut everything out and focus and give hundred percent in every shot is a unique skill. As an artist, is there any pressure, since your last film did not work at the BO? This is my job. If I take the responsibility of the outcome of every film, I won't be able to survive the pressure. As it is, we are carrying so much stress. There are so many things that goes into making a film successful. How do you deal with the lows in your life? That's the point when you learn the most. It teaches you how to be more balanced, how to see the world through a larger perspective and not through the eyes of the film industry. There's is so much to learn in the world. It makes you aware of the surroundings and other people around you, rather than just your world of films. You have got an interesting line up of films coming up. Tell us a little bit about the ongoing projects. I will resume shoot on Tiger Zinda Hai next week at the same location where we shot the last film (Ek Tha Tiger). Since the audience really liked Salman's character and Kabir Khan's direction in the first film, there is a lot of pressure on Ali ( Abbas Zafar - director). However, Ali has not taken anything for granted. He has new visions, dynamics and some really cool action sequences. He released one or two pictures which increased some anticipation. But, the canvas is very large and we are very passionate about the film. Then, I have Anand L Rai's film with Shah Rukh Khan and Thugs Of Hindusthan with Aamir Khan and Amitabh Bachchan (she shot for a few portions of the film in Malta, between JJ promotions). I am extremely excited about all of my upcoming films (smiles). Celebrities often take to social media platforms for expressing their concern or commenting on an issue. What is your take on this trend? I believe in freedom of speech. Everyone should speak out what they believe in and share their experiences. Preferably without harming some other person. Everyone is different. and they probably speak because they are giving solace to other people. It has to be a calling that comes through your heart. I can probably spend time and mean every word I say, but you have to have the connection and be sure of the message you are trying to convey. Conveying a message that gives solidarity to other people is a wonderful thing. Have you ever had a fear of competition? There is nothing to fear after being here for so many years. Every day is a gift and a blessing. If you are honest, what you want will come your way. Come September, and you will complete 14 years in the industry. How do you look back at your journey so far? There are so many things. Every day you discover something new. You go through ups and downs. Last year, I learned that even in the hard times, you have to keep your calm and know that this too shall pass. The rest of life you should not be taken seriously. As human beings, we put ourselves through too much of torture. So, just remain positive.